Come spend a day on the river with us in Western North Carolina! Check the bios of all our experts in the field. Great pictures with great guests. The wild trout waters in the Pisgah National Forest and the Great Smoky Mountains and the premier waters of the Davidson River, Cherokee Trophy water and the South Holston River are all fishing great. The catch and release waters of North Carolina’s Delayed Harvest Program have been stocked with great numbers of highly cooperative, hungry trout as well. Late winter hatches of Little Black Winter Stone Flies, Gray Winter Caddis, Blue Winged Olives, Blue Quills and Quill Gordons are all still in play and the additional hatches of the Hendrickson, March Brown, Tan Caddis and Little Yellow Sally Stoneflies are providing quite a buffet for the Brook, Brown and Rainbow trout. 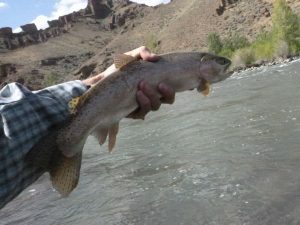 We would love to help you cure your spring fever by getting you on the water with a guided fly fishing trip, whether it be a wade trip, float trip or backcountry experience. To book a guided fly fishing trip with one of our talented, expert fly fishing guides give us a call at 828.645.8700 or check out our Guide Service page. 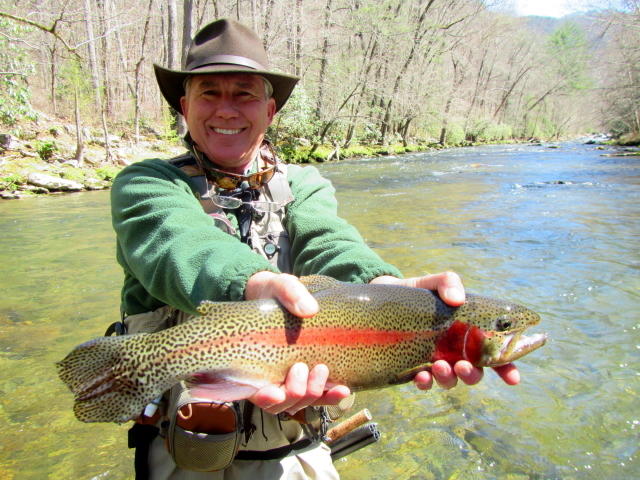 We look forward to sharing the great fly fishing waters of Western North Carolina with you soon! Yellowstone 2019 Trip Dates are set! Come join us for a truly incredible trip.